The Atlantis is a gaming resort, with smoking allowed in most indoor and all outdoor areas. The west wing of the Royal Tower is the only tower that is entirely non-smoking, and it is possible to walk to the meeting space from that wing without going through the casino. All other towers have smoking and nonsmoking floors; smoke exposure from balconies above or below is possible. The ASOPRS room block will be available until sold out or until May 3, 2019. Once sold out, or after May 3, additional rooms may not be available or, may be at prevailing rate, which will be higher than the group rate. A waiver of the resort fee ($50 per night) has been negotiated for ASOPRS' guests. Please be sure to review your folio upon check out to ensure no resort fee was charged. Reserve your hotel room online using the link below or call 1-800-386-4786 and reference "ASOPRS 2019 Annual Spring Meeting"
The following will be added to the rates : 12% VAT, 10.75% resort levies, $6 per person one time bellman charge, $1.60 per person per day lifeguard fee and $5 per person per day housekeeping ($6 in the Cove). There are also additional occupancy charges for more than two people. A limited number of rooms are available before and after the meeting dates; they are at the discretion of the Atlantis. Pre and post rooms may sell out prior to the group room block deadline of May 3, 2019. In February, the US State Department issued a Level 2 travel advisory to the Bahamas due to an increase in crime. Although most crimes are occurring on New Providence and Grand Bahama Islands, reports have also been made on Paradise Island (location of the Atlantis). Travel wisely and stay safe. 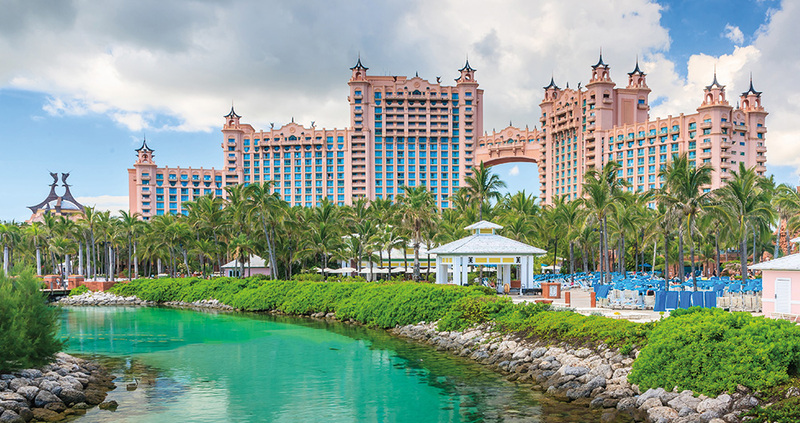 Follow the common-sense tips from the State Department on traveling to the Bahamas. While on the resort,use Extension 30 from a hotel phone 24 hours a day to contact security. 911 from any phone will connect you to the Bahamian Police. Car rental is NOT recommended! Parking is minimal/difficult at the Atlantis and it is left-side of road (British) driving on the island. You can book taxis in advance or they are plentiful curbside once you exit the airport. Visit their websites for more information, including additional fees and services. The above car services require advance booking. Visit their website for further information. *All services listed are rated highly on Trip Advisor.